58016 is currently undergoing restoration at UKRL, Leicester. This website is the online home of the Class 58 Locomotive Group, custodians of the preserved Class 58016. There are a variety of interesting pages within our site, which can be accessed by clicking on the links to the left hand side, all of which are aimed at illustrating information on the type's activities and operations within the UK, overseas in Spain, France and the Netherlands and now back home in preservation. 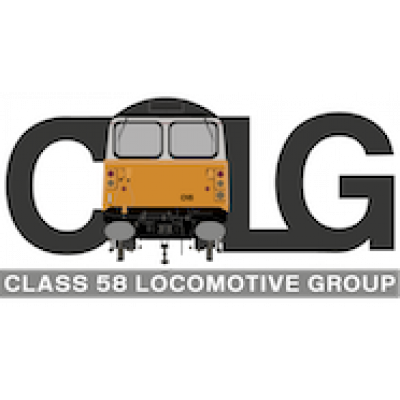 Our News page is regularly updated, frequently with restoration news, so please keep checking back; however the best way to be kept informed of Class 58 news, views and events is to become a member of the Class 58 Locomotive Group. The current £12 annual membership means you receive regular issues of our informative in-house magazine, Red Diamond (so-called after the multiple-working code of the Class 58s), as well as invitations to all group activities, meetings and forthcoming working parties on 'our' locomotives. To date we have over 200 members, all of whom are united in ensuring at least one Class 58 locomotive can be kept operational in preservation for future generations to enjoy. If you have any questions, queries, comments and/or suggestions please feel free to contact us through the Contacts page. We are a very enthusiastic team and shall be very happy to help in any way we can.. Thank you for taking the time to look at our site; our members are proud to belong to the C58LG, and rightly so. We are very active in our approach, but above all we aim to be professional. The group is something which we are all very passionate about and we do hope you will consider becoming a member to help us in continuing to achieve our goals. You can support the Class 58 Locomotive Group in the following ways:By joining by post.By joining on..